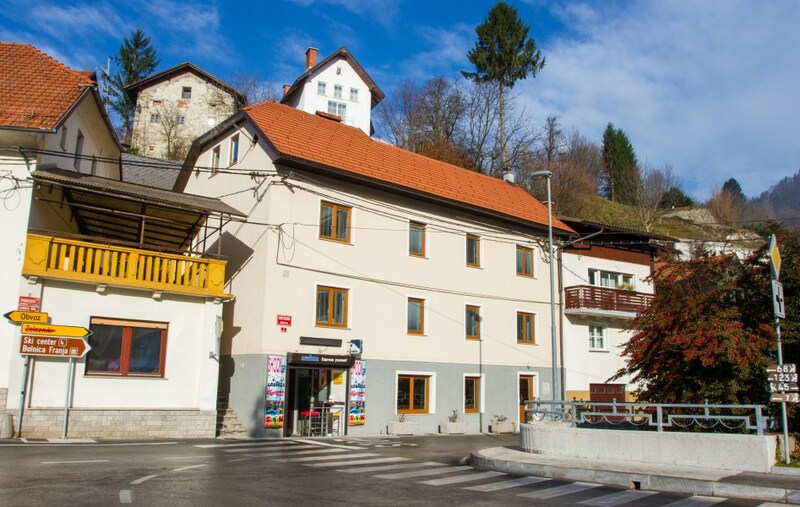 The building with two holiday apartments on the first and second floors is located straight in the centre of Cerkno. 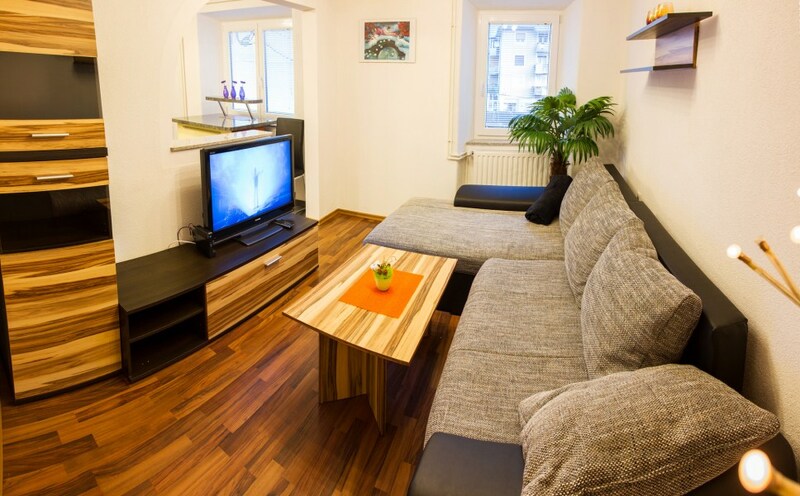 Both apartments are the best choice for those who want to be at the heart of events as well as moving with the times (the apartments offer modern facilities, wi-fi all over, LCD TV with a wide program range in the sitting rooms and in each of the bedrooms). 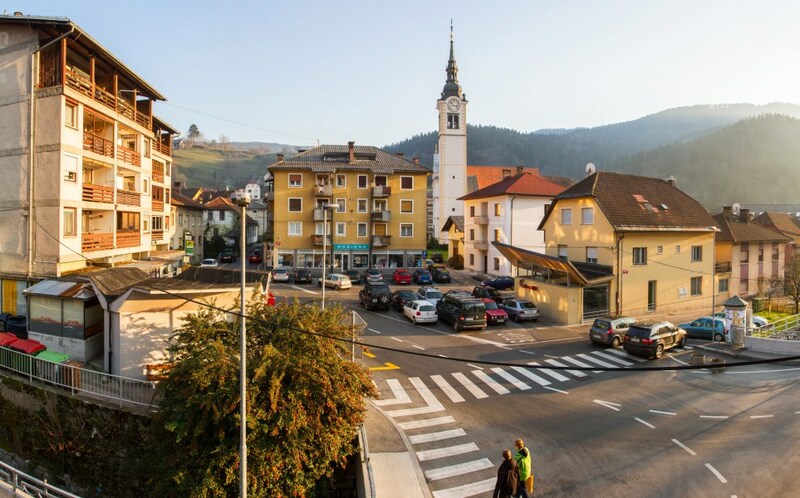 From the apartments you see straight onto the main square of Cerkno and guests therefore have everything at hand. A few steps away there are a newsagent, two shops, a bank and a few steps further a bakery, a post office, an indoor swimming pool with saunas, a florist, hairdressing salons etc. 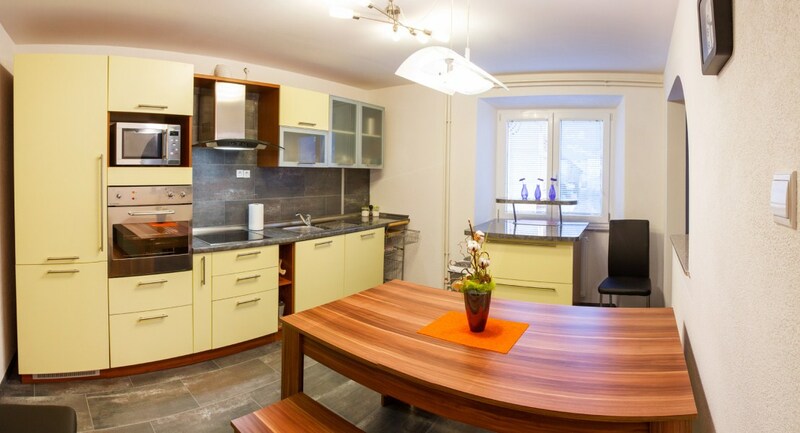 On the ground floor of the same building where the apartments are upstairs, there is a day bar that will serve you delicious coffe, a choice of hot chocolate flavours, coctails, high quality Slovenian wines Štoka, Czech beer Budweiser Budvar and more. Check us at www.shockbar.si.